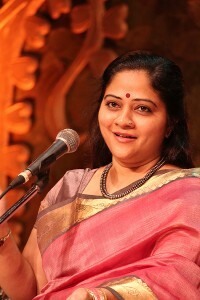 Vidushi S. Sowmya is one of the world’s leading exponents of the Carnatic (South Indian classical) tradition of vocal music. 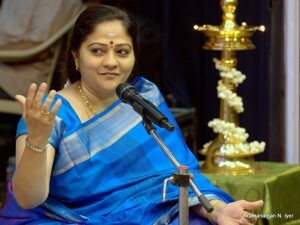 She is reputed for her deeply classical style and for her large repertoire spanning a wide spectrum of composers, including some of the rarest works of the Carnatic Trinity. She is also a passionate promoter and practitioner of Tamizh Isai – the ancient classical and folk music traditions of Tamil Nadu. Dr. Sowmya is also a fine exponent of the Saraswati Vina, one of the world’s oldest musical instruments. She is also known for her path-breaking research work in enhancing the tonal stability of the mridangam, the pre-eminent percussion instrument in South Indian music. Dr. Sowmya’s life has been soaked in melody from the very beginning. Growing up in a traditional South Indian family, she had her initial tutelage in music from her father M. Srinivasan, a Chemical Engineer with an enduring passion for Carnatic Music. Later she was singularly fortunate to be taken under the wings of Sangita Kalanidhi S. Ramanathan – exemplary musician, esteemed musicologist and extraordinary human being. After several years of learning from him, Dr. Ramanathan encouraged Sowmya to undergo further training from Vidushi T. Muktha, of the legendary Brinda-Muktha duo. 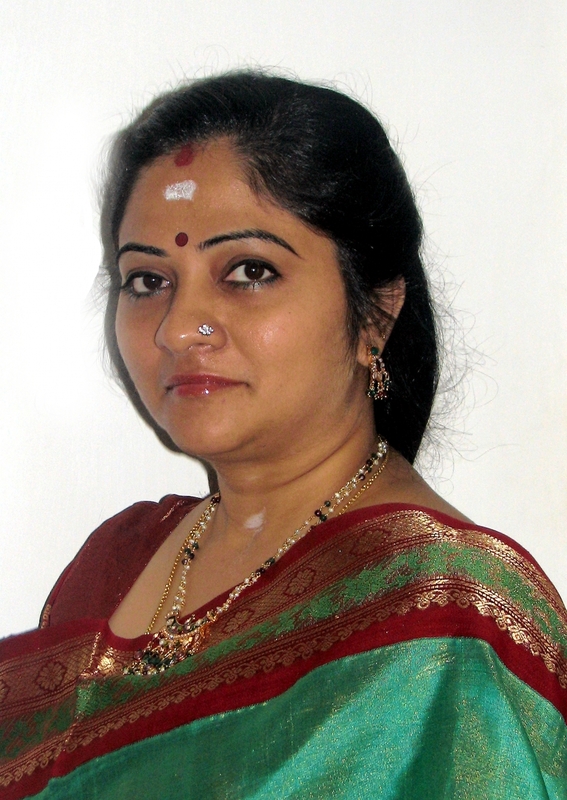 Dr. Sowmya attributes her success and achievements to her gurus and to the bountiful blessings of her beloved Ambal, the Goddess Kamakshi of Kanchipuram. In addition to being an accomplished musician, Sowmya also has excellent academic credentials. She earned a Ph. D. degree in 2012 from the University of Madras for her research work that combined music and science. Sowmya also holds Master’s degrees in Chemistry and Indian Music. She was a top-ranked scholar at the Indian Institute of Technology, Madras (IIT-M) and the University of Madras. A widely traveled, popular vocalist today, Dr. Sowmya strives to adhere to the strict classical values imbibed from her gurus Dr. Ramanathan and Smt. Mukta.